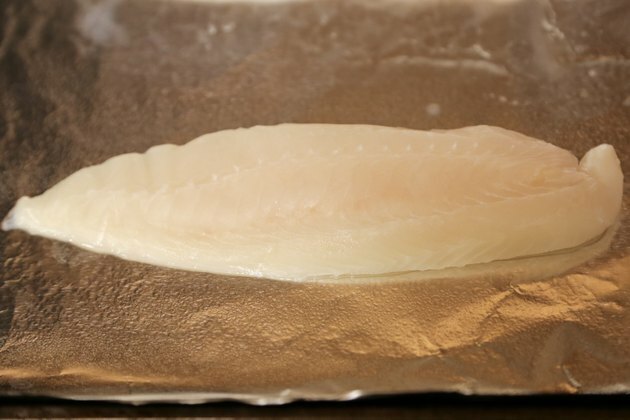 The tender, flaky tilapia fish swam up the stream of popularity to snag a spot in the top five of the best-selling seafood in the U.S. in 2013, says the American Tilapia Association -- and for good reason. 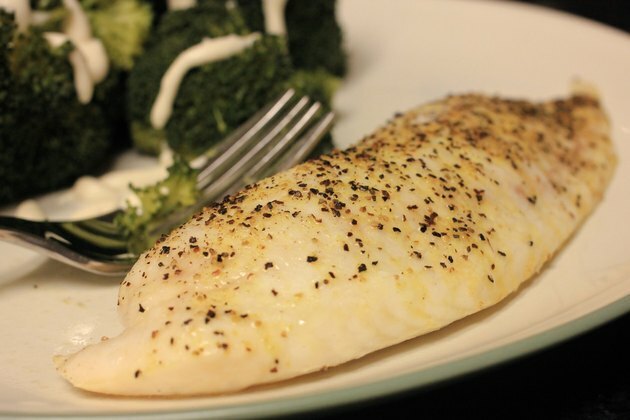 Each ounce of tilapia delivers 7 grams of protein and only 36 calories. Its mild flavor and affordable price appeal to fish lovers as well as to those who are looking to enjoy the health benefits of a diet that includes more fish. Wash fresh or thawed tilapia and pat dry. Pre-heat oven to 375 degrees Fahrenheit. 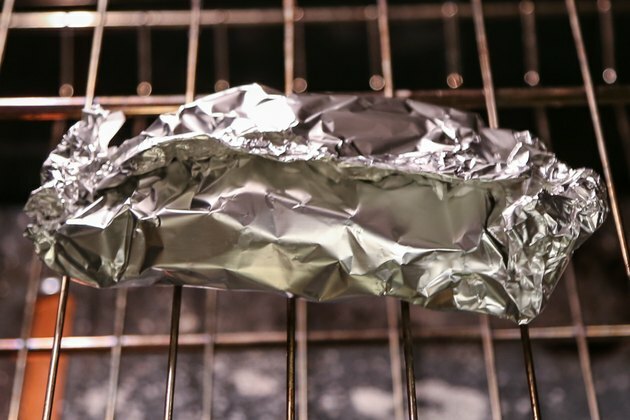 Place one filet on a square of aluminum foil. Brush the tilapia with olive oil and sprinkle with seasoning. Turn the filet over and repeat. Try a variety of spices such as salt, lemon pepper, rosemary, garlic, chili powder or ginger. 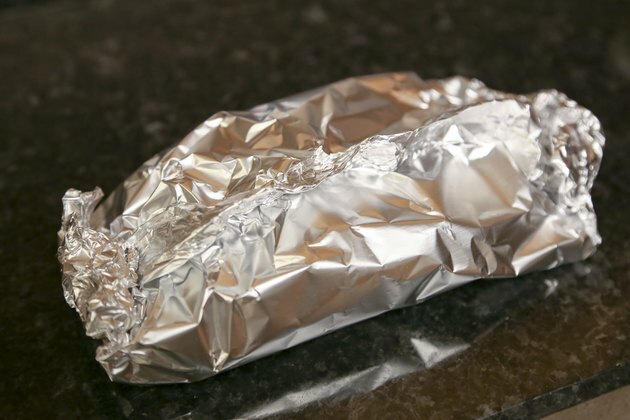 Wrap the aluminum foil around the fish and seal it to form a pouch. 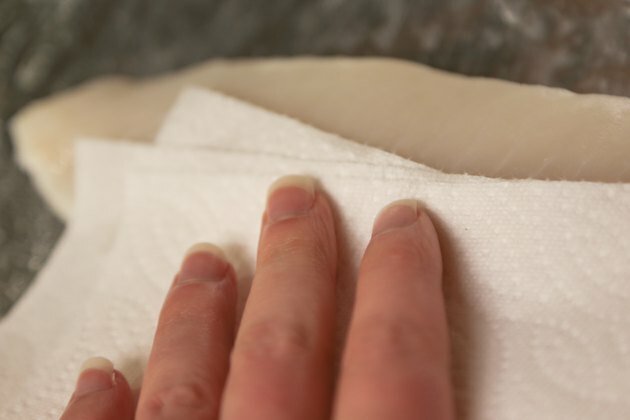 Place the pouches in a baking pan. Bake the pouches in a 375 Fahrenheit oven for 10 minutes. To serve, open the pouch and flip it onto a plate, pouring the juices onto the fish. Pre-heat the oven to 375 F. Wash the filets and pat them dry. 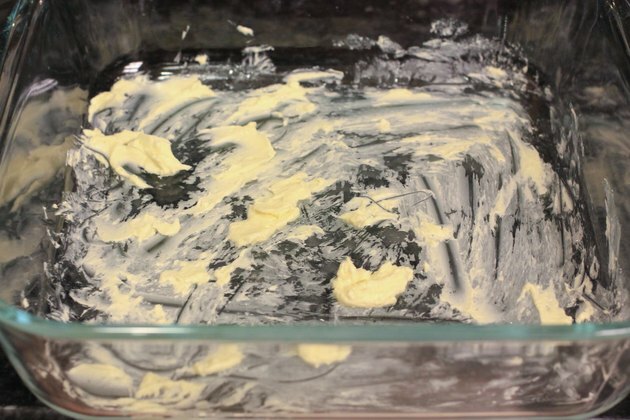 Butter the bottom of a baking pan large enough for a single layer of filets. 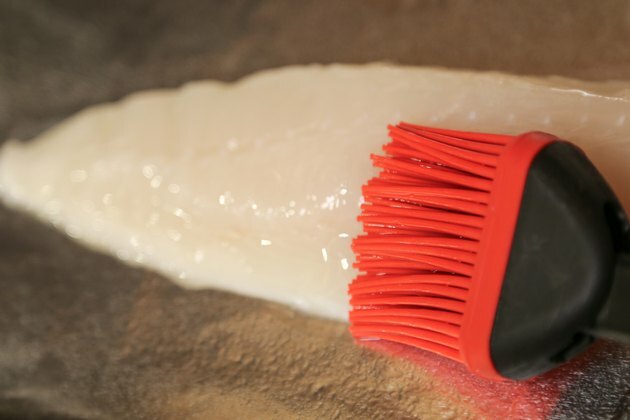 Place the dried filets in a single layer in the pan. Brush them with olive oil. Season the tilapia with your choice of seasonings. Options include spices, such as garlic powder, lemon pepper or chili powder, as well as seasonings such as soy sauce, lemon or lime juice, and sauteed onions or peppers. 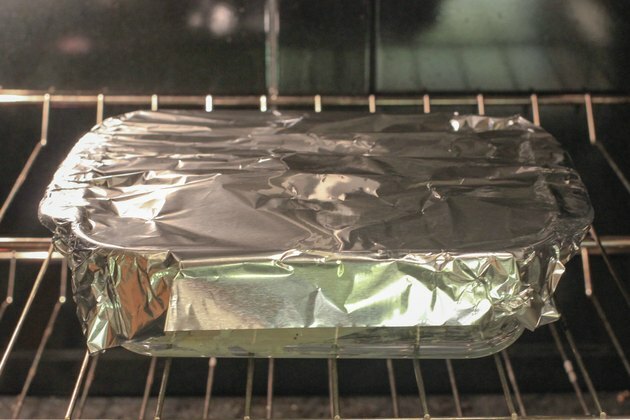 Cover the pan with foil and bake it for 10 to 15 minutes, until the fish are white and flaky. After baking, eat tilapia on its own or flake it to use in fish tacos or other entrees that require a mild, boneless fish. 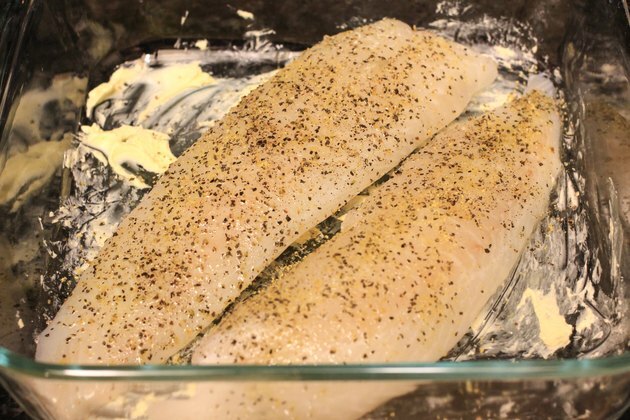 Other methods of cooking tilapia include sauteing, broiling and deep-frying in a batter. 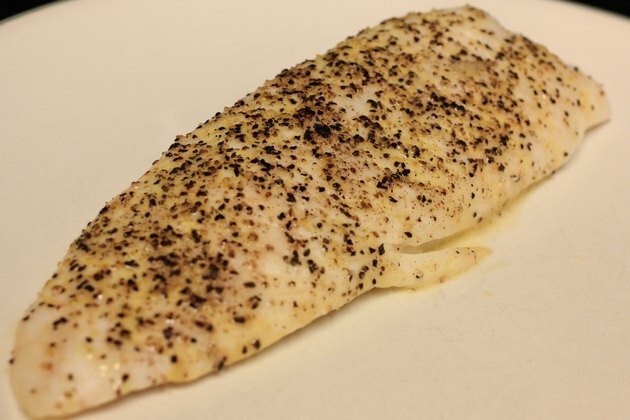 Because of its flaky texture, do not cook tilapia directly on a grill. For a slightly crunchy exterior, uncover the fish during the last few minutes of baking, until the flesh turns a light, golden brown. 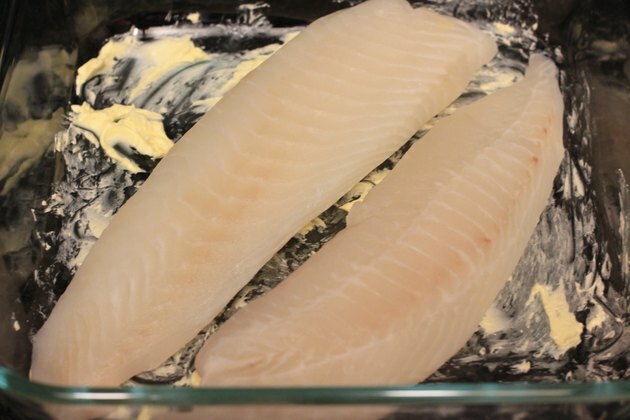 Most commercially available tilapia has been skinned and boned. However, fresh, whole tilapia may have bones. Tilapia has fewer beneficial omega-3 fatty acids than other cold-water fish. Farm-raised tilapia has fewer beneficial fatty acids than wild-caught fish.